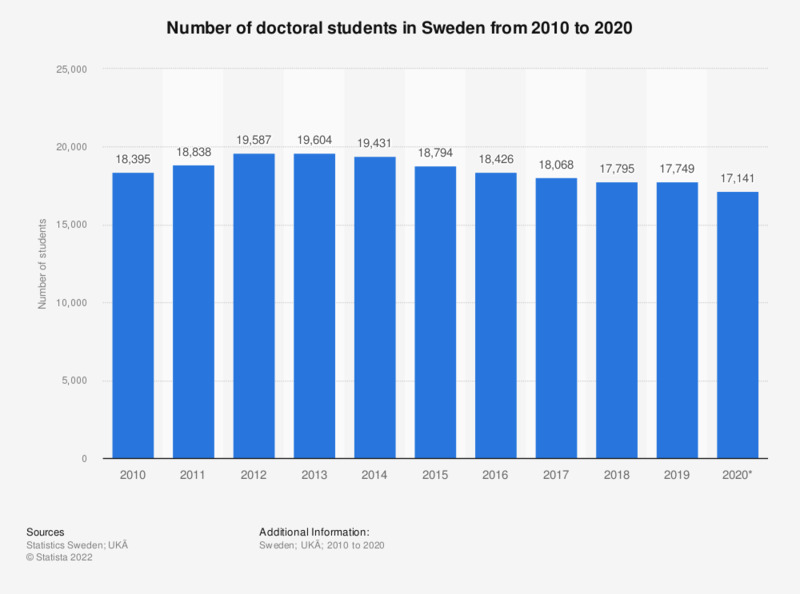 This statistic shows the number of doctoral students in Sweden from 2007 to 2017. During the time of consideration, the highest number of doctoral students was reached in 2013, with 19,583 students. In 2017, the number of doctoral students reached 17,376. * the source states that the data for 2017 is preliminary.